Many of today's professional woodturners use decorative materials to embellish, color, and accent their wood turnings while adding value and interest. 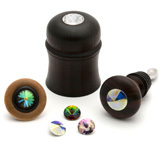 Add a decorative touch to your woodturnings. 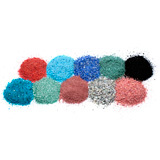 Choose from our extensive selection of dyes, inlay materials, crushed stone, metal inlay power, InLace, cabochons, Swarovski® inset crystals, and more. 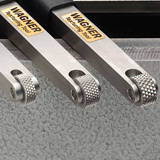 Inlay these materials to fill natural voids or recessed patterns to add a one-of-a-kind decorative accent to your wood turning.